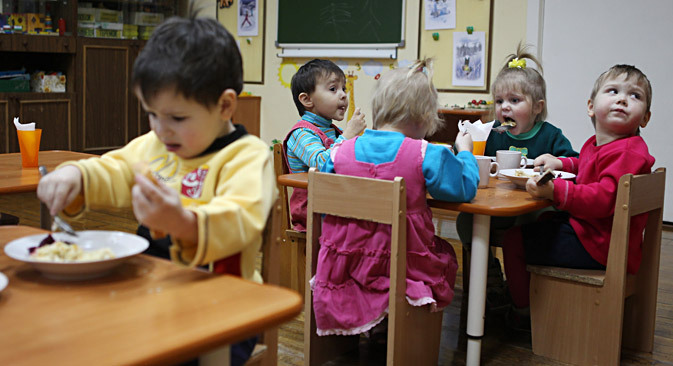 In an attempt to address the plight of Russian orphanage, authorities intend to significantly raise monetary allowances for Russian citizens who choose to adopt orphaned children. Authorities intend to significantly raise monetary allowances for Russian citizens who choose to adopt orphaned children — particularly, for those adopting older children and children with special needs. In addition, the government has proposed lifting the age requirement for unmarried persons who wish to adopt a child. “The government has passed a number of resolutions; however, some acute problems have remained unsettled. We have to eliminate all impediments that hamper citizens willing to adopt a child,” said Russian President Vladimir Putin at a President’s Council meeting for the implementation of priority national projects and demographic policy. In late February, the government introduced a bill with amendments to the Domestic Relations Code, the law On Guardianship and Trusteeship, and other valid acts to the State Duma. The bill pays special attention to disabled orphans and children reaching school age. According to government data, in 2011 Russian citizens adopted 7,434 children: only 38 of them were disabled and only 466 were above seven years of age. Thus, it was decided to considerably increase lump-sum allowances (from $425 to $3,275) given to families that adopt orphans in those categories. The allowance has only increased for those who adopt, as the government considers adoption to be “a priority form of child care,” according to an explanatory note attached to the bill. Relatedly, the bill suggests mitigating the terms by which a child can be adopted by an unmarried person. This is currently forbidden, if the age difference between an orphan and the person wishing to adopt is less than 16 years. The government has lifted this ban and handed the issue over to the court to decide whether the age difference should be taken into account. Beside this, the government has also decided to spare adopters and guardians a series of bureaucratic procedures. According to current legislation, those who decide to adopt a child or become a legal guardian must undergo special training. Even those who have already taken one orphan into their care are sent for training if they wish to adopt a second time. The government believes that repeated training is unnecessary. Authorities also believe guardians should be spared monthly reports on how they have spent the child’s allowance. During the Council meeting, Putin also stated that it is necessary to develop not only adoption institutes, but also other kinds of family education, including patronage. “It [patronage] has to be supported and modernized. Foster care in foster families should be actively developed. Such a type is in special demand when placing disabled children and children above seven years of age in families,” said Putin. The article is based on materials from Kommersant and RIA Novosti.